The DWOTD blog was founded by Dutch Guru Sander Oudkerk in 2006 and ran in its original form for almost 7 years. The first post was ‘Doos‘ on July 26th 2006, and the last post was ‘Voortborduren‘ published on March 15th 2013. Other Dutch Gurus who have contributed to the first edition of the DWOTD blog are Marc and Laura. Sander picked up the DWOTD blog again in 2015 with a stronger presence on Facebook: DWOTD 2.0. 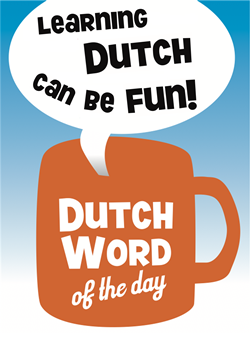 Where the original DWOTD blog provided you with an extensive explanation of a specific word or phrase, the DWOTD 2.0 blog has a different goal: to give you linguistic and cultural insight into the Dutch language, inspired by written Dutch spotted in real life. 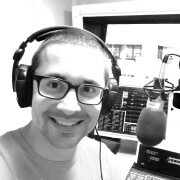 Sander is a Dutch language enthusiast, stand-up comedian and radio host who lives in Amsterdam.